Note: this is ONLY for the SAN FRANCISCO portion of the Trek. If you are interested in the Boston portion, please register at the other link. You are allowed to attend both, but if so you must register and pay the deposit for both. Activities marked as tentative below are likely to happen, but we are still in the process of finalizing hosts/details - we will provide a final update after they are confirmed / signups close, whichever one comes earlier. Please note that a $100 deposit is required to confirm your spot - you will receive this deposit back in full if you at least attend the required Friday events. Please sign up no later than Jan 8th. 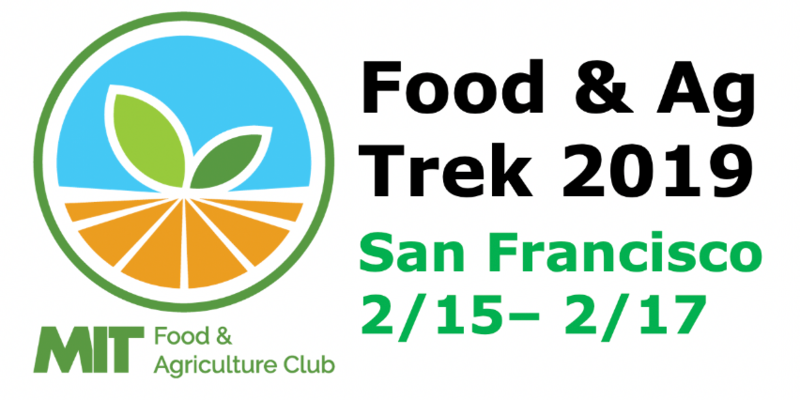 Lodging/Flights: We will send out an email to SF Trek attendees in the first week of January to help coordinate lodging while we're out there. Most likely we will research a few AirBnBs to share in order to keep costs reasonable. As for flights, you may want to book them in the first week of January once we send the confirmation email with the finalized list of attendees, in case you want to coordinate travel. The MIT Food & Agriculture club will be touring a group of companies in the Bay Area, including Impossible Foods, Good Eggs and Imperfect Produce. We will also be providing a series of optional activities related to Food & Ag, to provide learning opportunities - such as a farm visit, visiting local markets, and dining at local restaurants. Impossible Foods makes plant-based meat using a proprietary molecule that imitates the taste and texture characteristics of real meat. They are a late stage venture, operating in restaurants across the U.S. and in Hong Kong, with plans to launch in retail in the near future. Good Eggs is a pioneering online grocer and meal kit delivery service looking to reinvent the food system for good. They are a Series C company looking to expand operations in the West Coast. 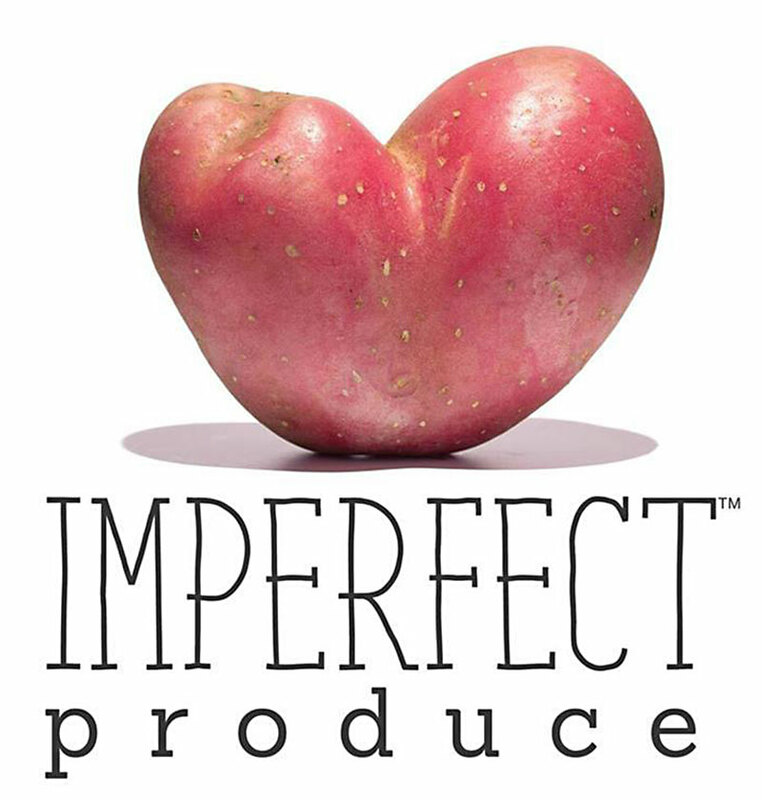 [Tentative] Imperfect Produce eliminates food waste by creating a market for produce that isn't aesthetically pleasing enough for grocery store standards. They've saved 35M pounds of food through their farm-direct delivery service. [Tentative] CUESA's San Francisco Farmers Market Visit: CUESA is a 501c3 non-profit that seeks to educate urban consumers about sustainable agricutlure - their Ferry Building farmer's market is one of the biggest in the Bay. We will plan to do a visit Saturday morning to check out all the vendors from the area. [Tentative] Pie Ranch is a farm that seeks to educate consumers on sustainable agriculture practices. Every month, they have a volunteer + tour day - we will plan on heading down there on Saturday afternoon.